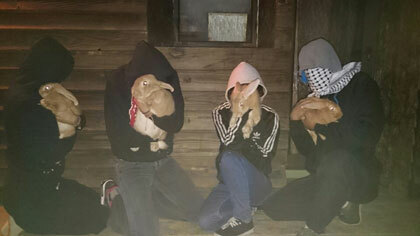 Twelve rabbits (meat breed) were released from a farm by vegan activists. They received all necessary care and are safe. All equal, all are free. V.A"